This is the recipe for the very traditional Danish Pebernodder which is a walnut-sized Christmas cookie in a circular/spherical shape. In Denmark we call these small cookies pebernodder which directly translated means pepper nuts. 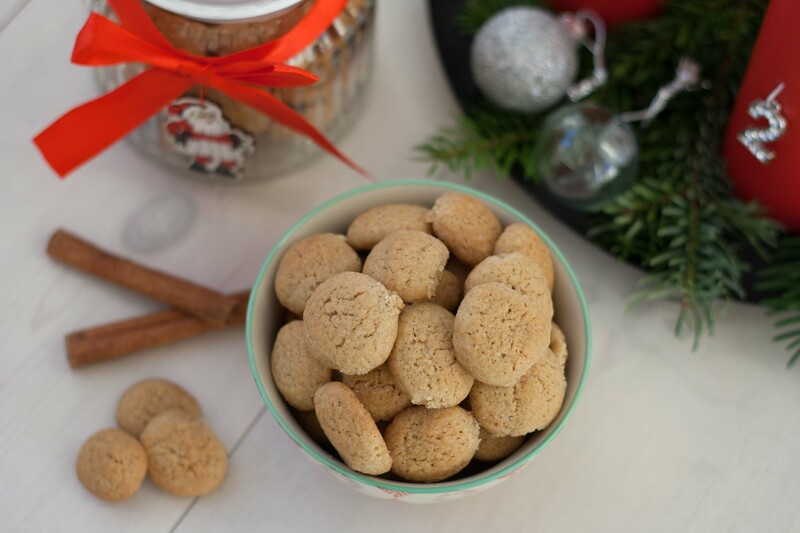 These cookies are very popular in Denmark, Germany and the Netherlands and are internationally sometimes referred to as pfeffernuesse or simply just peppernuts. 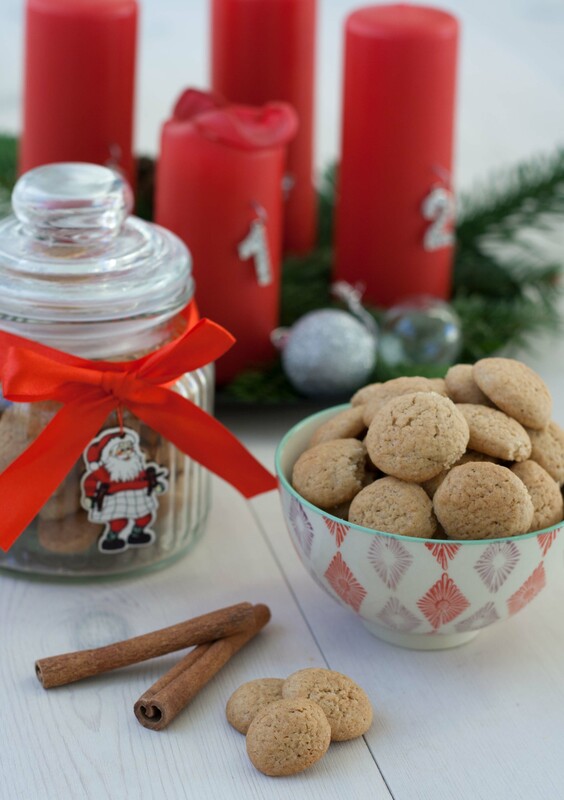 In Denmark it’s properly one of the most popular and traditional Christmas cookies, even though it is competing with the very delicious Danish Jewish cookie and the Danish brown cookie. The Pebernodder cookies are served as snacks in the whole month of December and we find that they are highly additive – once we are started eating these, we can’t stop. The origin of this cookie is not entirely known, however it’s expected that it’s somewhere in Germany or the Netherlands. 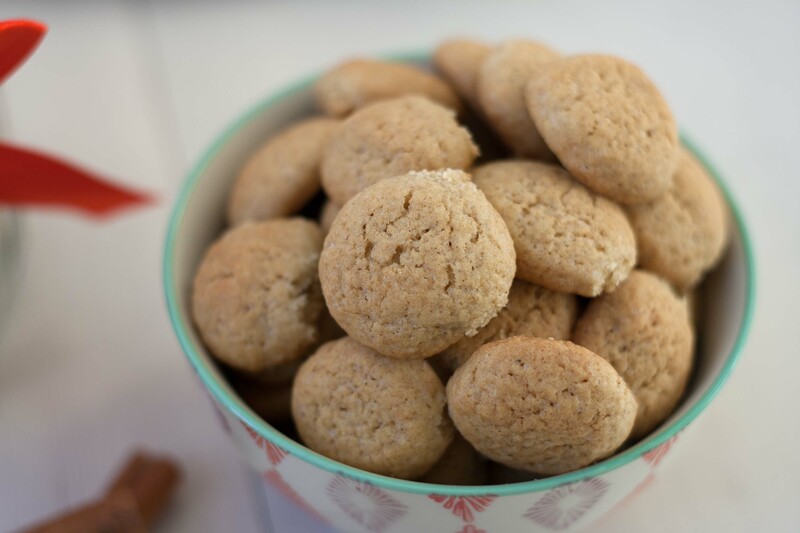 Even though this recipe is called pebernodder (peppernuts) it doesn’t contain any black pepper which is the kind most people would associate with when referred to pepper – instead one of the spices in these cookies is white pepper. White and black pepper are both fruits picked from the pepper plant however it’s the drying process of the pepper fruits that differs the two spices from each other. As the ingredient list, seen further down in this page, indicates these cookies does contain five different ground spices which are cinnamon, cloves, white pepper, cardamom and ginger – some places it’s possible to buy small bag where all these spices is already mixed specifically for pebernodder – however you can also just buy them separately and mix them yourself. The recipe is relatively easy – you simple just mix all the ingredients into a dough using your hands or a stand mixer, then the dough is rolled into bars, cut into small pieces and rolled into pebernodder balls. Find some more traditional Christmas recipes on this page. Step 1: Sift the flour and mix it with the spices and sugar. Maybe you can find a small bag where all the spices are already mixed for you. Step 2: Add the egg and the soften butter. 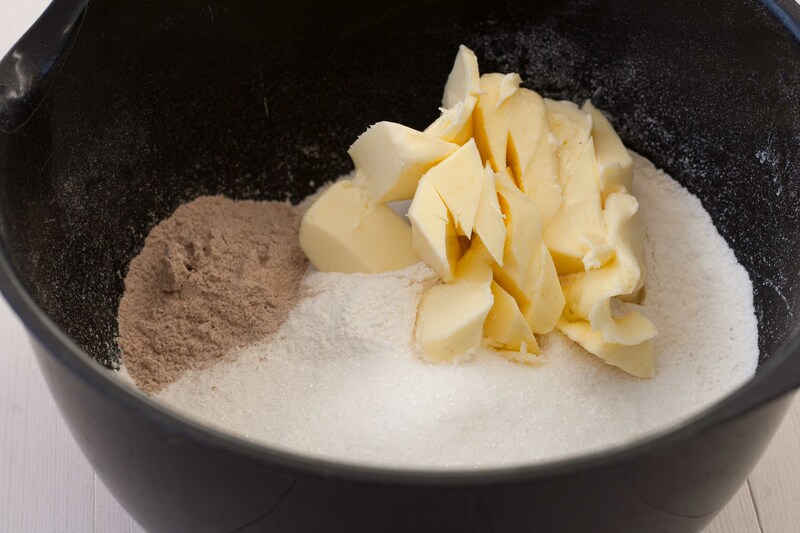 Use your hands or a stand mixer to mix/knead the dough until it has a uniform consistency. Step 3: Divide the dough into four pieces and roll them to four long bars. Step 4: Use a knife to cut the bars into small walnut sized pieces. Roll each piece into a small peppernut ball. 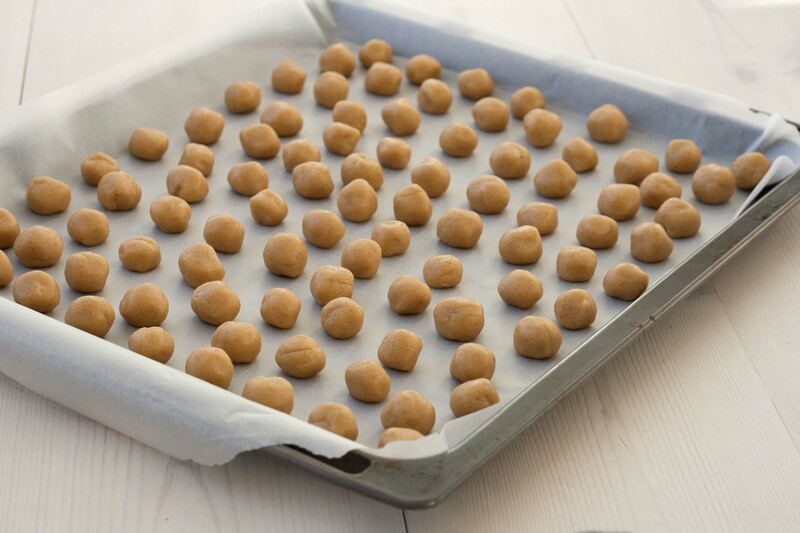 Step 5: Put the peppernuts on an oven tray lined with parchment/baking paper and bake them at 200 C (400 F) for about 8-10 minutes or until they are nice and golden. The baking time depends on the size of your peppernuts. Step 6: Let the peppernuts cool off and store them in an airtight box or jar. I’m not Daniush, but these sound delicious. I was reading a book about a Danish farming family in Alberta, and these were mentioned, so I just had to find a recipe. Thank you, I hope to make them some time. I hope it would be not too much of a crime against tradition to make them at some other time besides the Holidays? Hi. Thanks for your comment. These are traditionally served around the holidays but you can absolutely eat them all year around :-) I hope you enjoy them. I have a question- she called them something like Pfeffeneur, or it sounded more like Piffin-ear, to me. How is it truly pronounced in Danish? Thank you so much for posting this- The Jensens in Utah thank you! In Danish they are callede pebernødder. You can hear how it is pronounced in this page: http://da.forvo.com/word/pebern%C3%B8dder/. Surely you are thinking of pfefferneusse. It is the German version of this cookie. 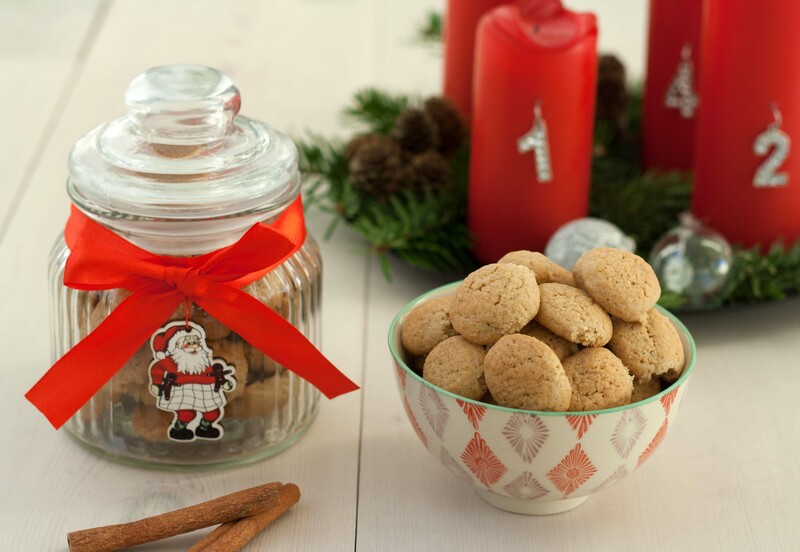 These cookies are a very old traditional European Christmas cookie. They both have cardemom, pepper and some ginger. Traditionally, the German version is rolled in powdered sugar. Good Morning, I’m so happy I found your blog. As I was reading the ingredients to t his recipe I see it calls for vanilla powder.. What is this and can I just use a half teaspoon liquid vanilla? Hi Tracey, yes you should be able to use liquid vanilla instead. 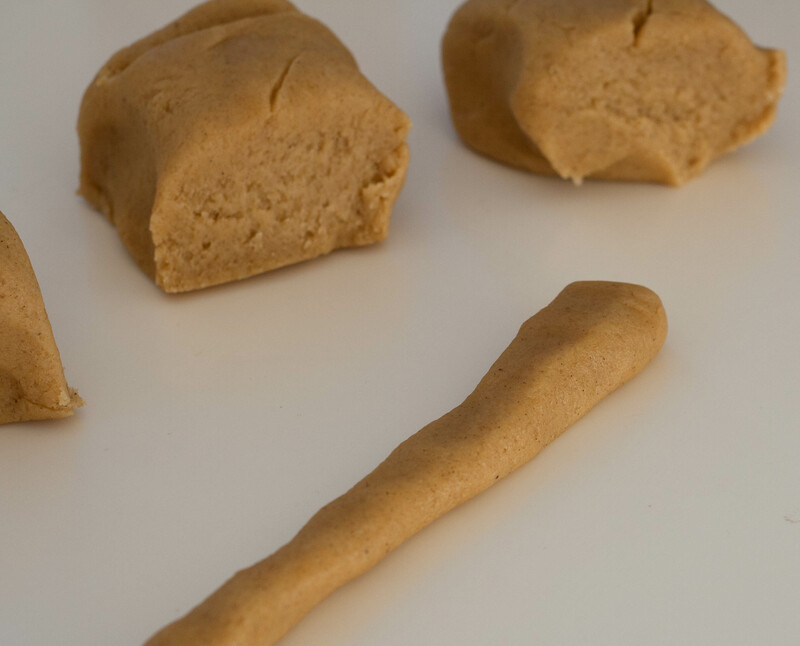 Vanilla powder or Vaniljesukker can easily be made at home. I have a Mason jar with powdered (confectioners) sugar. Each time a recipe calls for vanilla beans (crème brûlé, for example) I add the scraped out pod to the jar of powdered sugar. Just bury the pods in the sugar. It delicately adds natural vanilla flavor without any liquid, alcohol, etc. Thanks for helping me reclaim a little of my father’s Danish heritage for Christmas. These are very lovely, so tasty! I recently got a big bag of cardamom seed pods and was looking for new Christmas cookie recipes to try out with cardamom and decided to make your recipe. I like spicy things so just went for it. Unfortunately the 1/2 tsp of white pepper was too strong and burns the back of our throats. Oh no! The 1/2 tsp is correct? The clove was also a bit strong; though I didn’t mind it. I think the texture and technique of how you make the cookies is perfect. These cookies should not be spicy. They only have a small spicy taste. I’ve checked and 1/2 tsp is correct. Maybe you have a stronger version? However, next time try with 1/4 tsp. I would like to try these, but I’m in Canada and I do not know what to use for vanilla powder. I have never heard of that, but I do have vanilla pods and vanilla extract. Thanks! Hi Sarah. My best guess would be around 1-2 weeks in an air tight container. I have never tried to freeze the dough. However, I believe it should be no problem freezing the dough for 1-2 months. I tried making these today as my grandmother was Danish and I wanted to celebrate her heritage for Christmas. While I think I got the taste almost spot on (and I love all the spice), I thought I would roll balls of dough instead of rolling into a string and cutting. The batter was very sticky and difficult to roll into balls. I’m not sure if I got my measurements slightly off as I was trying to convert from grams or if I should have chilled the dough first. I also ended up with much larger cookies than I was expecting. At any rate, they taste good. I will have to give it another shot to perfect my technique. Have you tried this with dairy free butter or vegan butter? No I have never tried that. However, I think that it is no problem using dairy free butter. This recipe looks great. However, I don’t see a Print Recipe button on this page (or the Danish brown cookies page, either). Can you add it? Thanks. I have started converting the recipes into this new format where there is a Print-button. However, it takes a lot of time. I’ll do this recipe asap. Delicious recipe. Having grown up in Denmark eating pebbernøder every advent, this brought back find memories of Christmas in Denmark. Oh my, found this cookie recipe to be very good. Will make them for our Historical Society open house. Thank you for sharing. Not my family’s recipe. Ours do not spread. They are flavored with cardamom and rosewater. Lard and butter for the fats. Barley and Potato flours. No pepper. Ours are not German pepper nuts. Hi! I made these today for our exchange student who is from Denmark. They turned out well, though I think using parchment paper instead of greasing the baking sheet would have been better (substitution as I had no time to go to the store for the parchment paper). But I do have one question. I didn’t have vanilla powder, and in fact, have never even heard of it. Is it the same as vanilla sugar? When we hosted a student from Norway, she had her mom send us vanilla sugar and we still have some. Could I have used that for the vanilla powder? (Instead, I substituted vanilla extract and used the amount suggested in a recipe ingredient substitution website I found). Our Danish student said they tasted spot on, but I was just wondering after talking to my Swedish friend who had also not heard of vanilla powder if it is really vanilla sugar that is meant for that ingredient. Thanks! Thanks! So I made them again, this time on parchment paper, and they still don’t look right. They sort of spread and get flat in the middle. Any suggestions on how to make them look more like yours? My daughter, who lives in Denmark, is visiting me in AZ for the holidays. She wanted to make traditional Danish cookies for Christmas. We just made these. So EXCELLENT! We are now making a 2nd Double batch! Thank you for sharing this! Whats the measurements in cups please???? Flour is 1 cup. Sugar 1/2 cup. Are these cookies supposed to be crisp or soft?